She received a plague and a cash award of 5 million won. The award was named after South Korea's founding President Syngman Rhee (1875-1965), whose pen name is "Unam (雩南)." Lee was creditted with promoting the science and technology in the field of medical research. She has become the attention of the local news media in recent years. In Lee surprised the local medical sector by investing 180 billion won to set up the Neuroscience Research Institute of the Gachon University of Medicine and Science in 2004. Establishment of other state-of-the-art medical research institutes followed. Lee Gil Ya Cancer and Diabetes Institute and Gachon Bionano Research Institute were also established in 2007. More than half a century ago, Lee founded the Gachon Gil Foundation which owns Gachon University Gil Medical Center and scores of other medical hospitals and clinics. 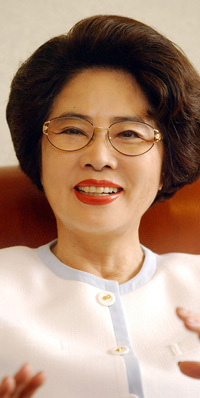 Probably, South Korea's most powerful medical doctor has also been involved in a series of philanthropic activities.